Radon is a radioactive gas that is produced when radium, uranium, and thorium are broken down in the ground, typically in water, soil, and rock. Since radon gas is invisible, tasteless, and odorless, it can be a huge threat to homeowners who are unaware of its presence in their home. Exposure to high levels of radon can lead to radon poisoning, which can have serious health implications. In this blog, we’re going to talk about radon poisoning and how you can prevent it. Radon is produced in the ground and moves up into homes, offices, and other buildings. It is often found in places where ventilation is poor like damp basements or mines and in buildings that are well insulated or very tightly sealed. Some buildings may also be built on soil that contains a lot of radium, thorium, or uranium which can also contribute to the production of radon. According to the Environmental Protection Agency, around one out of every 15 homes has high levels of radon. In these homes, the basement and first floor contain the highest levels of radon. Symptoms result when the gas is breathed in. When radon is breathed in it can cause damage to the cells in your lungs which will eventually lead to lung cancer. According to the EPA, radon in indoor air causes about 21,000 lung cancer deaths each year in the United States. Lung cancer usually results within five to 25 years of high exposure. Some symptoms of radon exposure include a nagging cough, wheezing, shortness of breath, chest pain, or coughing up blood. Radon poisoning is the second leading cause of lung cancer in the United States right behind smoking according to the American Cancer Society, and only about 10 percent of radon-related cancer deaths are non-smokers. People who smoke and are exposed to high levels of radon have a much higher risk of developing lung cancer. Radon is a serious issue for many homeowners across the United States. If you suspect that you’re experiencing symptoms caused by radon, you should speak to a medical professional immediately. You should also begin testing for radon in your home. Although radon cannot be seen by the naked eye, has no smell or taste, its presence can be detected by a trained home inspector in your area. Safe Investment Home Inspections is your Top Rated Local® home inspector specializing in radon testing in Denver and the surrounding areas. 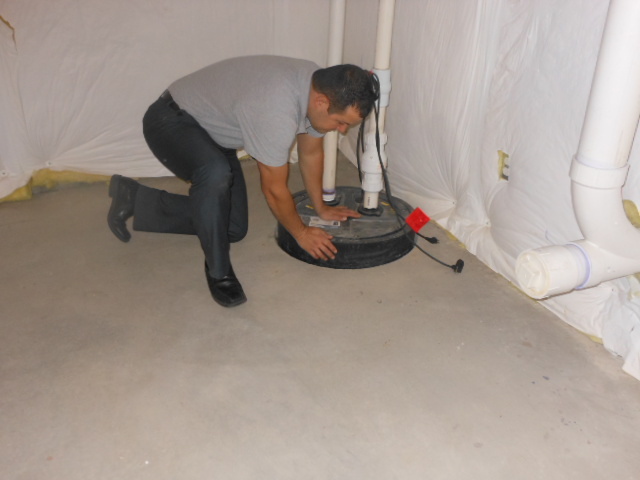 We are both knowledgeable and skilled in conducting radon testing and believe it to be one of the most important aspects of home and building inspection in Broomfield, Lakewood and across the rest of the Denver Metro area. In addition to our radon testing, we are able to perform full home inspections including mold inspections, thermal imaging, air quality testing, and much more. If you have any questions or you’re ready to get started, contact us today. Hello, and welcome back to our blog. This is part two of our blog series about preventing dryer fires in your home. In our first blog, we covered what the main causes of dryer fires are, why dryer fires are on the rise, as well as preventing drying anything that has been in contact with flammable chemicals or at the very least, ensuring that they are thoroughly washed beforehand. If you’d like to learn more about this subject, keep reading. Many homeowners assume that their lint filters catch all of the lint that comes off of clothes, however, by simply pulling out the lint trap and looking underneath, you can see that this is not the case! Although cleaning the filter should be your first course of action, it should not be your only. But lint isn’t just found there either, it can be found in your vents and even on the heating element itself! Clothes dryer fires start with a spark, but lint buildup will make that more likely to occur. Believe it or not, it’s not just fire hazards inside the dryer itself that can result in house fires; what’s going on around the dryer also matters. First and foremost, the way the vent system was installed makes a difference. If dryer vents are too long, don’t have a dryer duct booster, or have too many bends, this could lead to more lint buildup. Instead, make sure vents are straight and as short as possible. Avoid using foil or plastic duct extenders that are flammable and flimsy. Instead, use metal vents. These will not get crushed or bent out of place which would prevent air and lint from being removed from the system. Not only does this create a fire hazard, but it will cause the system to overheat and wear out faster than it would otherwise. Old, worn-out systems are also more likely to result in a fire. Another important thing to note is that you need adequate clearance space between the dryer and the wall. Homeowners who move their dryer a lot may cause the venting material to get damaged. As a result, the high-temperature limit safety switch will turn on and off, which will eventually fail. It’s best to ensure the system is installed correctly in the first place, then avoid moving it around unless you need to clean it. If you want to do everything you can to avoid dryer fires, there are a few general guidelines you should follow. Make sure your dryer duct is made of quality materials. Solid metallic materials are a good alternative to foil, vinyl, and other combustible materials. It’s generally best to use vents with a diameter of four inches and an exterior exhaust hood of sixteen square inches. Try to avoid using screws to put your vent pipe together. They can cause more friction and more lint to accumulate. Don’t move your dryer up against the wall crushing the dryer duct. Instead, Dryerboxes can be used to more safely install your clothes dryer while saving space. Although you can certainly try to clean your own dryer vents, the best way to ensure your system is free of lint is to contact a professional dryer vent cleaner. Dryer vents should be inspected and cleaned at least once a year. Many HVAC companies offer dryer vent cleaning in addition to their normal air conditioning and furnace services. Part of being a responsible homeowner is knowing that there are always ways to improve the safety of your home. Although homes are designed to be safe, poor electrical installation, clothes dryer maintenance, as well as a lack of care while cooking are some of the major causes of house fires. When you give us a call at Safe Investment Home Inspections, we take into consideration anything that could cause a fire in your home and ensure that it is up to standards, allowing you to live in your own home knowing it is safe and secure. Give us a call today to get started. 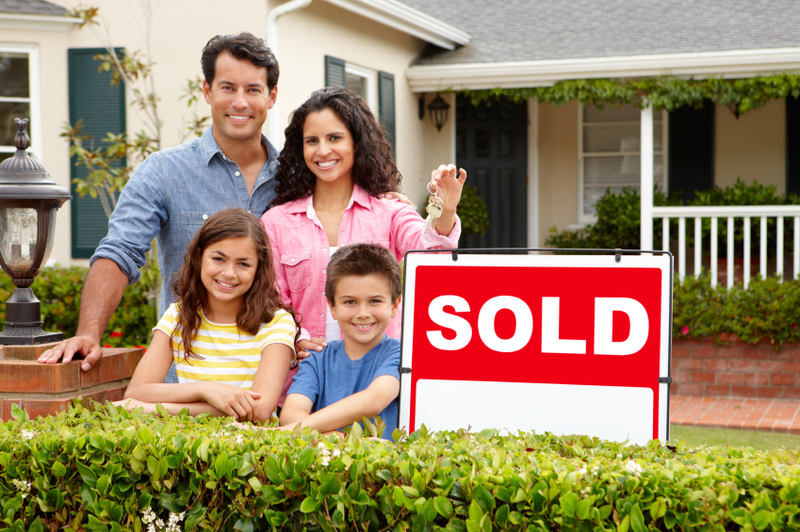 Hello, and welcome back to our blog here at Safe investment Home Inspections. 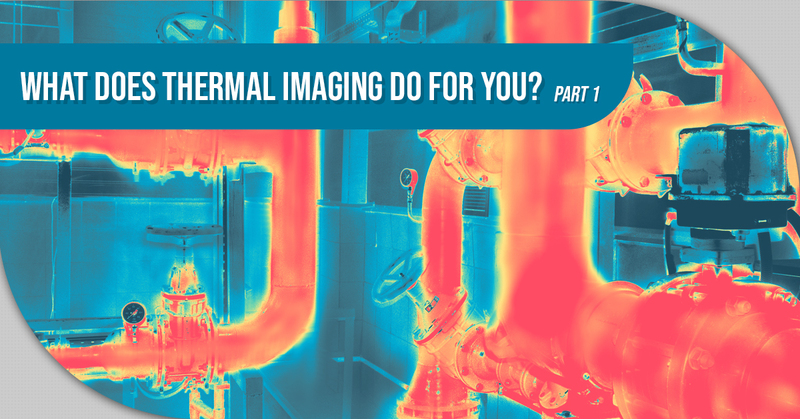 This is part two of our blog series about thermal imaging. In our last blog, we talked about how thermal imaging works as well as some of the devices that are used. Keep reading to learn about the many uses of IR cameras for home inspection. Energy loss is one important use of thermography in a home inspection. 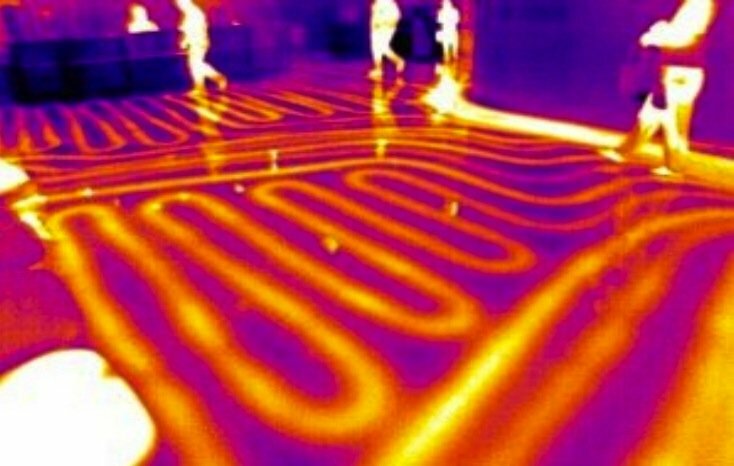 Thermography allows the inspector to see what walls, floors, windows, or doors are losing heat. It can also detect malfunctioning systems like air conditioners or heatings systems that may be leaking. It’s important to know these things because you could be losing a lot of energy in your home, thus costing you more on your energy bills. Since evaporation causes cooling, moisture can be detected with thermal imaging. This helps a home inspector locate things like plumbing leaks, roof leaks, missing or wet insulation, and water around the foundation of the home. Leaks can cause a significant amount of damage to a home in the form of water damage and mold growth. Water leaks in the basement can indicate the need for serious foundational repairs and leaks in the roof may indicate the need for a roof repair. In addition to knowing the coolest spots in the home, it’s also important to be able to see the hot spots. This can help locate overloaded circuits, overheated electrical equipment, electrical faults, and circuit breakers that need replacement. This will not only help you prevent a broken electrical system before it happens, but it can be used to locate potentially hazardous electrical components that could result in house fires. Some additional things that can be located with thermography include pest infestations due to energy loss in shelter tubes that are created by certain insects. Certain rodents like mice and rats can be seen through thermal imaging because of the heat they give off. Thermography can also detect leaking flue pipes that can result in carbon monoxide poisoning. Anyone can simply walk into a room with a thermal imaging device and see what parts of the room are hot and which are cold. However, it’s the actual interpretation process that will reveal if there is anything wrong with the home and how it can be fixed. It takes an eye for detail when it comes to interpreting this data because the inspector must know each part of the home and how it should look through a thermal imaging device. If something is out of the ordinary, they’ll know whether something should be done about it. As you can see, there isn’t just one use for thermal imaging. 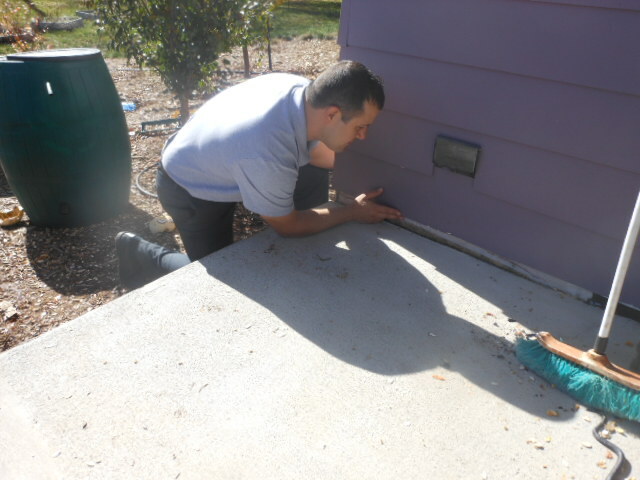 It can help a qualified home inspector spot a lot of issues [or potential issues] with a home. If you’d like to learn more about our specific thermal imaging services contact your top rated home inspection company in Denver. What Does Thermal Imaging Do For You? 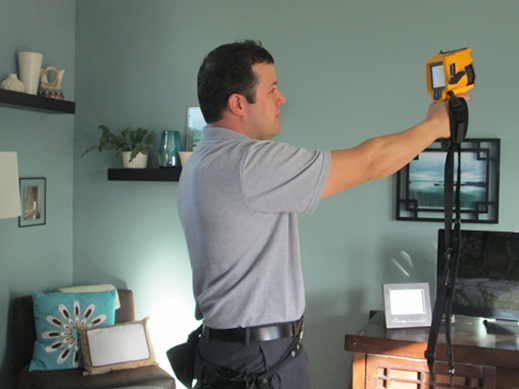 Thermal imaging is a simple process that has multiple uses when it comes to home inspection. It doesn’t take too long and it’s non-invasive, meaning it won’t get in your way. Essentially what a thermal imaging device does is takes in infrared energy from the environment and present it on a screen like a digital camera. Cooler areas are represented in blue while warmer areas are represented in red allowing the user to see hot spots throughout the home even behind walls. Without this technology, home inspections would be much more difficult and take a lot longer. Keep reading to learn about all of the benefits of having a thermal imaging inspection in your home. 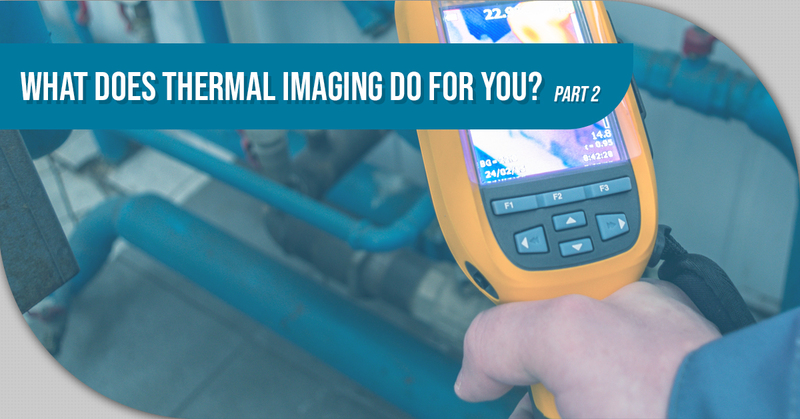 In part one of this blog, we’ll take a look at how thermal imaging works and the various types of devices. Thermal imaging devices or IR cameras use infrared video and still cameras to measure surface temperature. The device displays light from the heat spectrum and can reveal a whole bunch of things about your home. Thermal imaging inspections can be done on either the outside or the inside of your home, but interior thermal imaging tends to be the most accurate. Often times, home inspectors will use a blower door which exaggerates any air leaks in the home and makes them more easily detectable through the IR camera. There isn’t just one type of IR camera out there and your home inspector may choose one or another depending on what they’re trying to accomplish with the inspection. Spot radiometers is one of the simplest thermographic inspection devices. It has a simple meter that shows the temperature of one spot at a time. Thermal line scanners will show the user radiant temperature along a line. The thermogram will show temperature variations along the line. Thermal imaging cameras are some of the most accurate and reliable thermographic devices on the market. They will show a lot more detail in the image and allow for an expanded range of uses in home inspections. Safe Investment Home Inspections is your top rated home inspection company in Denver and the surrounding area. 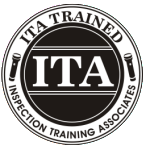 All of our home inspection experts are certified and trained in thermal imaging inspections and will provide you with the highest level of care in the industry. Contact us today to learn more. 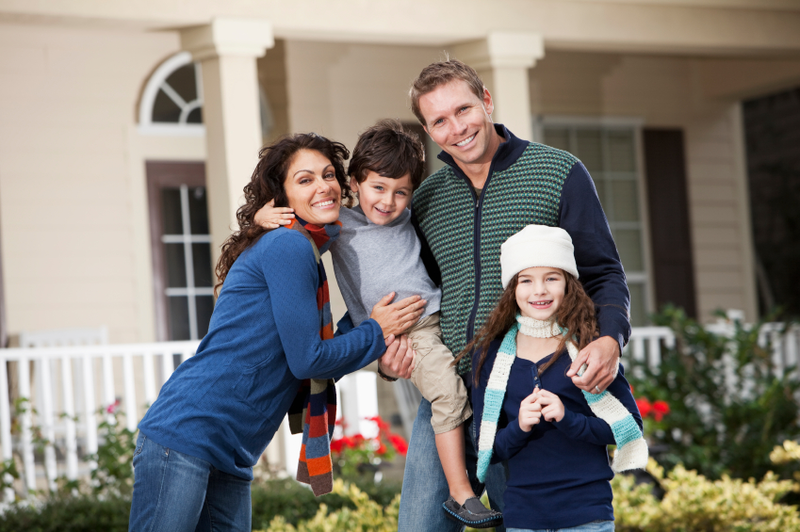 Hello, and welcome back to our blog here at Safe Investment Home Inspection. 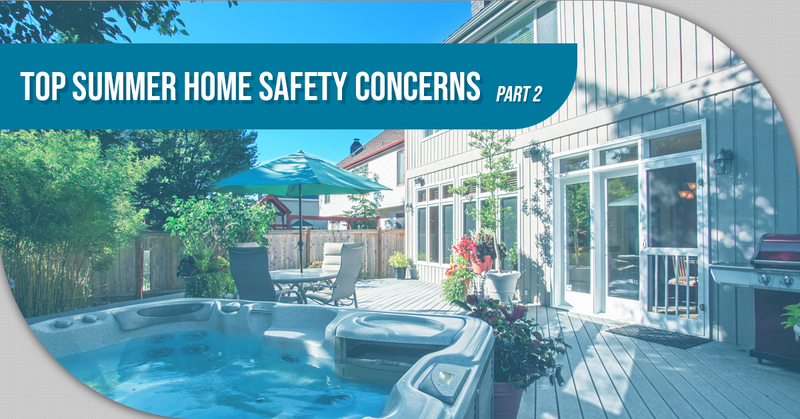 This is part two of our blog series about major safety concerns in your home this summer. The beginning of summer is a great time to evaluate the safety of your home and plan any upgrades for the rest of the year. 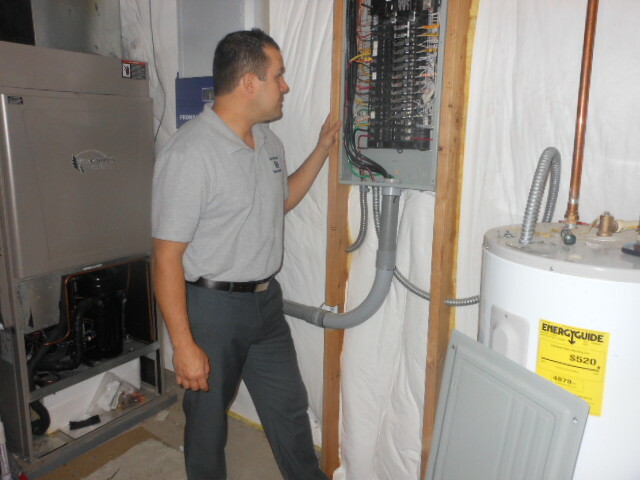 Contact Safe Investment Home Inspection today to learn more. 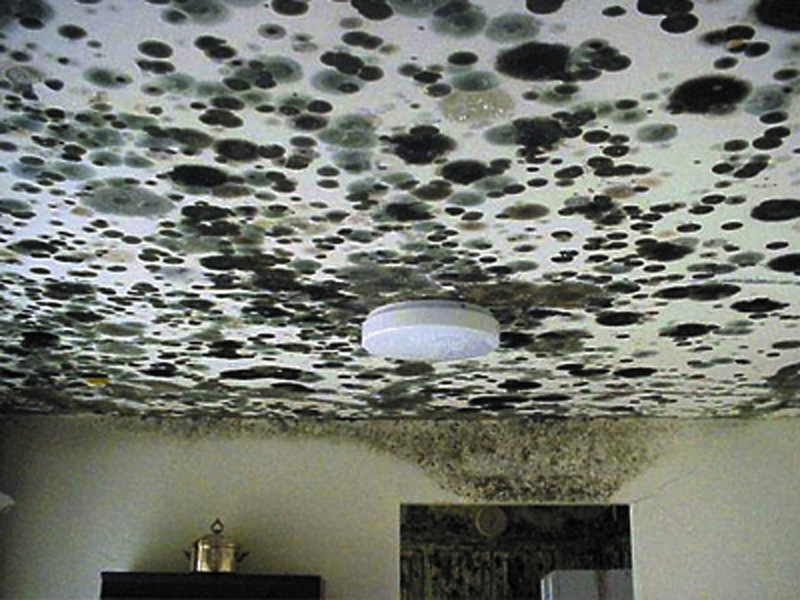 The other aspect to mold growth in your home during summer is humidity. Although Colorado isn’t known to be humid, indoor environments can become quite humid depending on several factors. One good way to prevent humidity is to always open windows if you’re running a lot of water either to take a shower or to wash the dishes. This will promote good air circulation and prevent humidity from accumulating in certain areas of your home. If you’re still experiencing issues with humidity, you may want to consider installing a dehumidifier. One of the most common summertime annoyances for many homeowners is bug infestation. Whether it’s mosquito bites, ants, or spiders, most bugs are out in full force during late spring and throughout the summer. But before you start calling the exterminator, here are a few tips to help keep the bugs out of your home this summer. No matter how hard we try to keep bugs out, they always seem to find a way in. Although many bugs come in through pipes or the faucet, a fair amount make their way in through broken screen doors or windows. That means now is the perfect time to start looking into replacing old screens and windows. Although you may be able to get away with leaving food out overnight during the winter, doing this in summer will lead to some unwelcome visitors. Although it’s not common for ants to make their way into homes, when it does, it’s not a pretty sight. And it certainly isn’t a situation you ever want to deal with. Planting flowers or other plants up against the side of the house is basically like welcoming bugs into your home with open arms. Bees, flies, and many other bugs love hanging out near these plants and are more likely to enter through the door when it’s open or through cracks in the wall or windows. Another reason to not plant or put soil near the home is that it can contribute to hydrostatic pressure on your home’s foundation like we talked about earlier. Safe Investment Home Inspection is your Top Rated Local® home inspection company in Denver and the surrounding area. We specialize in air quality testing, thermal imaging, radon measuring, mold inspection, sewer inspections and much more. Contact us today if you’d like more information or you’re ready to schedule a home inspection with us. Whether you have a kid that’s several months or years old or you’ve got another one on the way, it’s never too late to start thinking of ways to make your home fit for a small child to grow up in. Chances are, you know that young children can be curious and very energetic, but safety isn’t always the first thing on their mind, especially if they haven’t learned to walk yet. 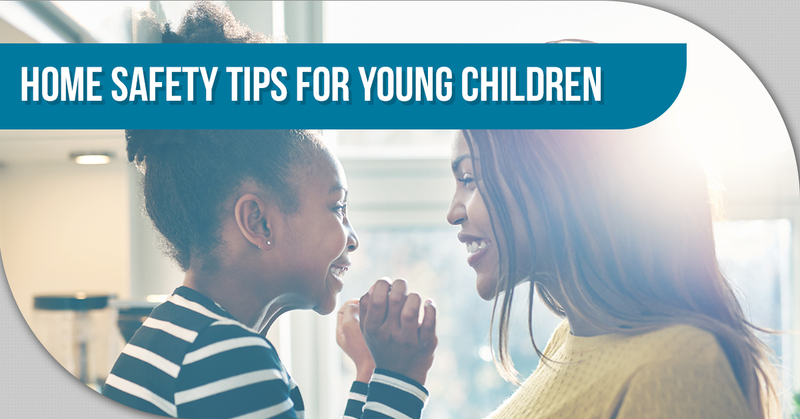 Although you’re probably planning on spending most of your time with your child, it never hurts to be too safe in case your child decides to venture off on their own while you’re distracted or working. Cleaning products can be one of the deadliest things around the house for young children. Every cleaning product on the market has chemicals that make them poisonous if swallowed. To us, it’s obvious that these products shouldn’t be consumed, but to a small child, all they know is that it smells good, and it’s probably sitting in a cabinet that’s about at their height. Instead of leaving them lying around after using them, make sure they’re stowed away and if you want, you can even put a padlock on your cabinets. One of the most important things you can do to protect your child while they’re at home is to cover all electrical outlets with plastic covers. Young children don’t understand the dangers of outlets and they’re at just the right height to reach most of them. Plastic covers will help prevent them from getting a finger in the outlet or trying to stick one of their toys in there. If you have any appliances or fixtures with frayed wires, this can also be a safety hazard, so make sure they’re fixed before you allow your child near them. Young children aren’t the best at climbing up or down stairs so you’ll only want them to attempt it when you’re with them. You should plan on blocking each staircase with a gate that can be easily opened for you to come and go as you please. Don’t forget that if you’re going to be letting your kid outside on the deck or patio, you’ll need gates for outside as well. Think about it — your child is spending most of their time on the ground. If the floor isn’t clean, they’re going to be breathing in a lot more harmful pollutants than any fully-grown adult. Not only this, but their immune systems aren’t fully developed meaning they’ll be even more likely to get sick from an unsanitary floor. But you can’t just vacuum every day and call it good, carpets and rugs need to be professionally cleaned regularly in order to have all the allergens and harmful contaminants removed. In addition to all hazards that will affect your children, any general home hazard will affect your children as well as you. This includes things like poor indoor air quality that can be brought on by poor ventilation resulting in mold, mildew, and termites. Once mold and mildew are in your home, they can be very difficult to remove and can lead to serious respiratory issues. Electrical wiring issues can also be a huge fire hazard if they aren’t installed correctly by your electrician. Poor electrical wiring in homes leads to thousands of house fires every year in the United States, as well as hundreds of deaths. Radon is an odorless, tasteless and colorless gas that is virtually undetectable to humans. It’s also very dangerous to breathe in because it’s a carcinogen. Radon is the second highest cause of lung cancer in the U.S. right behind cigarette smoking. When it comes to keeping children safe in your home, it’s similar to protecting yourself and other family members. The difference is that there is a lot more to worry about and small children have a difficult time understand what is a hazard and what isn’t. Aside from following the tips listed above, the most important thing you can do to protect your children is to call a home inspector who can tell you if your home is fit to raise a child in. Contact us today to learn more. Hello, and welcome back to our blog here at Safe Investment Home Inspections. This is part two of our blog series about improving the energy efficiency of your home. Last time, we talked about why energy efficiency is important as while as how you can reduce spending on your heating and cooling, one of the highest costs on your energy bills. Keep reading to learn more. The difference between a standard furnace and a tankless water heater is that they only provide hot water as it is needed. And they won’t create standby energy loss that comes with storage water heaters. Tankless water heaters also waste less water and take up less room than on-demand water heaters. Simply sealing and insulating your home will ensure its energy efficiency for years to come. Sure, you can spend all your time and money trying to improve your heating or cooling system, but what good will that do if the energy is being lost due to poor insulation or sealing? Some of the most common places energy is lost include attic hatches, weatherstripping around doors, baseboards, window frams, and switch plates. Air leaks are more likely to occur on the ceiling or in the attic since hot air rises so having your attic inspected is a great way to find potential ways to increase your home’s energy efficiency. Sealing your attic isn’t just important for energy efficiency. In a previous blog, we talked about how sealing your attic will prevent frost from forming in it due to hot air rising and condensing on the ceiling which can lead to even more problems like increased humidity, mold, and damage to your home. A simple yet effective way of saving money on your energy bills. Without having to heat the water each time you put a load of laundry in, you’ll be saving a few extra bucks on each energy bill. This will add up over time and you won’t see any real downside to washing in cold water. Give it a try! Making small adjustments to the way you cook can also have a big impact on your home’s energy efficiency. First of all, conventional ovens are less efficient than convection ovens. They’ll use up to 20 percent less electricity and cook food more evenly at a low temperature. What’s more, a microwave oven will use even less energy at just 20 percent of the energy cost of a convection oven. If you are going to use a conventional oven, however, make sure to move the rack up to the top level and place your food there. This is where it will cook the fastest so make sure to keep an eye on it. Adding windows like skylights, light shelves, clerestory windows, or light tubes is a great way to reduce the energy used to maintain your lighting fixtures. 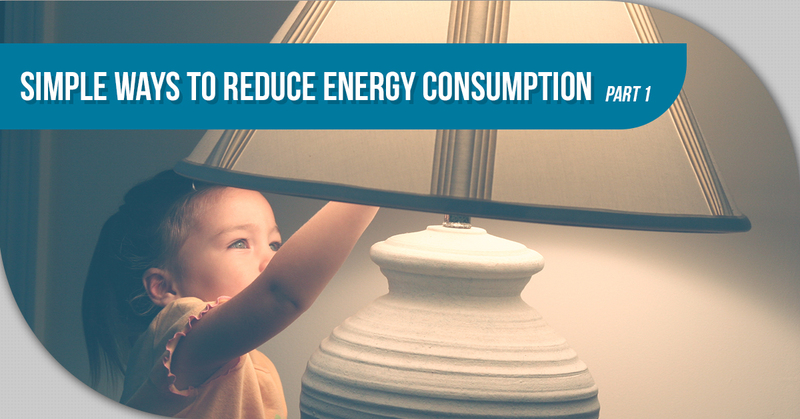 You can also replace your lighting with more energy-efficient LED lighting. This lighting will cost you more initially but will save you more in the long run. 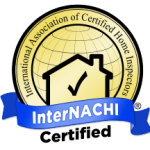 Are you ready to speak with an expert certified home inspector in Denver or the surrounding area? Safe Investment Home Inspection is your first choice for comprehensive home inspections, allowing you to live comfortably knowing the condition of your home. We do everything from thermal imaging to radon measurement and air quality testing so give us a call today if you have any questions or you’re ready to get started. If you’re like most people, you probably believe that you’re pretty good at saving energy within your home and that you only use what you need. You turn off lights when you’re not in the room and you try to avoid using your HVAC system as much as possible. 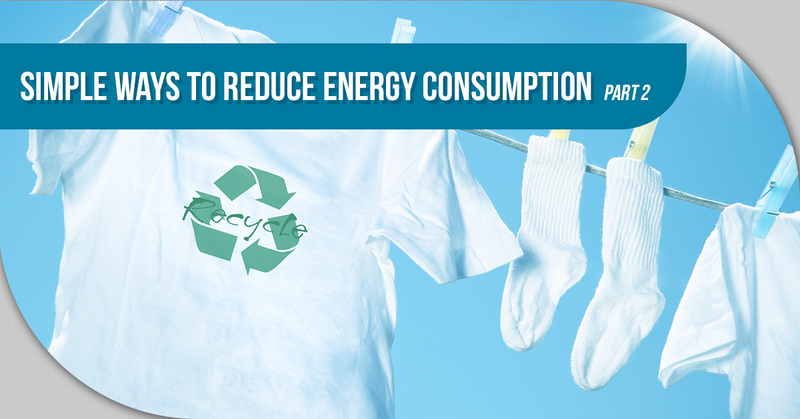 But have you really tried everything you can to reduce your energy usage? However, before getting into the details about how to reduce energy consumption, it may be a better idea to start with why saving energy is important. Keep reading to learn more. The first and most obvious reason that you’ll want to conserve energy in your home is because it will cost you less on your monthly energy bills. According to Move.org, the average consumer spends about seven percent of their income on energy bills. Nearly half of this money goes to heating and cooling and the bigger the home, the more this will increase. Although electricity is a renewable resource, that doesn’t change the fact that power plants produce waste, and if you can reduce the amount of energy you’re using, you’ll inevitably be reducing waste. Reducing energy expenditure at home can make us a more energy and waste conscious society in general which will also reduce wastefulness in other areas. There’s no doubt about it — if you’re planning on selling your home, it will be much more appealing to buyers if you’ve taken steps to increase its energy efficiency. You will be able to claim the Residential Energy Efficiency Property Credit for wind, solar, and geothermal appliances in your home according to the U.S. Department of Energy. So, not only are you getting a more energy-efficient appliance, but you’re saving on taxes as well. Now that we’ve established the main reasons for reducing energy consumption in your home, let’s take a look at some of the best ways to accomplish this. Since heating and cooling is the biggest culprit when it comes to high energy bills, it’s only natural to start here when trying to improve the energy efficiency of your home. Up to half of the energy expenditures in our home are related to heating and cooling and it should be the goal of every homeowner to find ways to reduce this, especially those with large homes. Ceiling fans are a great way to reduce energy consumption while reducing the stuffiness that can make hot rooms so unbearable. You can also try opening the windows and let some fresh air in as well. It’s tempting to think that heat is always the cause of a room being “uncomfortable,” however, circulation has a lot to do with it. Opening windows and having a fan on low will get the air moving and you’ll feel a lot more comfortable. 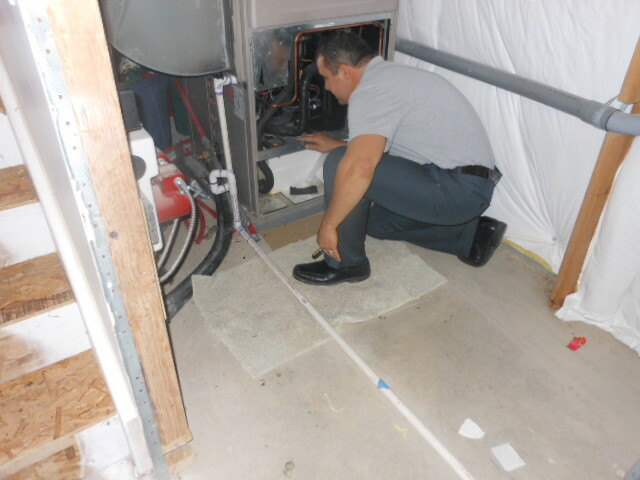 Often times, one of the biggest culprits of high energy bills is an inefficient heating and cooling system. Your air filters are an important part of this efficiency because the air within your home is constantly being circulated through it. If you’re using an air filter that’s not ideal for your home or that’s too dirty, you will be wasting energy. Programmable thermostats are a small investment for the enormous amount of money you’ll save in the long run on heating and cooling bills. Programmable thermostats allow you to set your HVAC system to automatically turn up or down based on whether you’re home or away. This is very useful for people with predictable work hours and can be adjusted easily if your schedule happens to change. Far too many homeowners don’t use their fireplace, however, this is a great way to reduce energy consumption and costs far less than having your furnace running full blast all winter. If it’s cold outside, drawing your curtains is a great way to provide a little extra insulation at night especially if you don’t have double pane windows. These are just a few of the many ways you can increase energy efficiency in your home. Improving energy efficiency is an important part of being a homeowner because it saves you money and a lot of hassle. However, it’s not the only thing you’ll have to worry about as a homeowner. At Safe Investment Home Inspection, we complete 500 point inspections of your home so that you can see exactly what’s going on in your home and what can be improved. Our master inspectors will provide you with the security and assurance you need to live comfortably in your own home, all while saving you time and money. Contact us today to learn more.